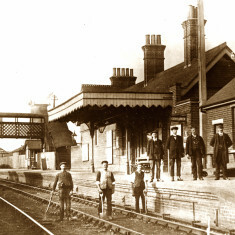 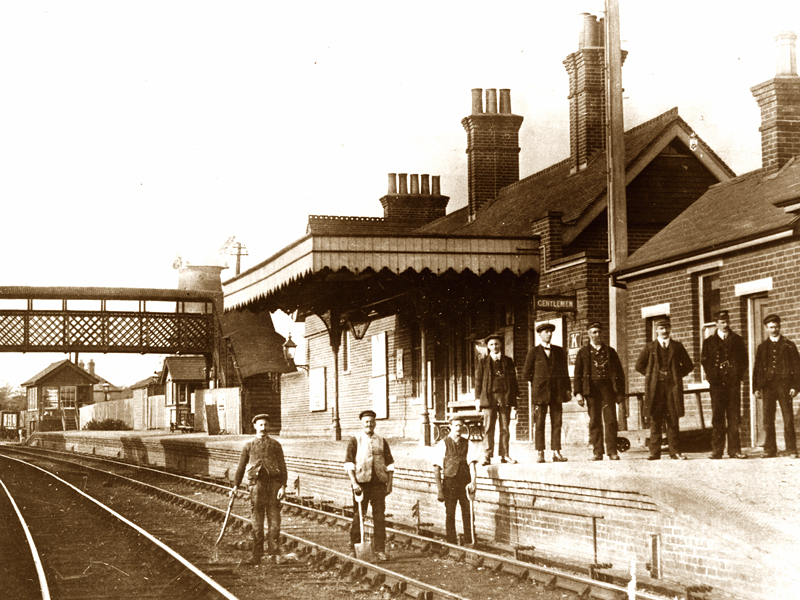 The southern terminus of the Buntingford Line, connecting with through trains to Liverpool Street Station; 1900s. 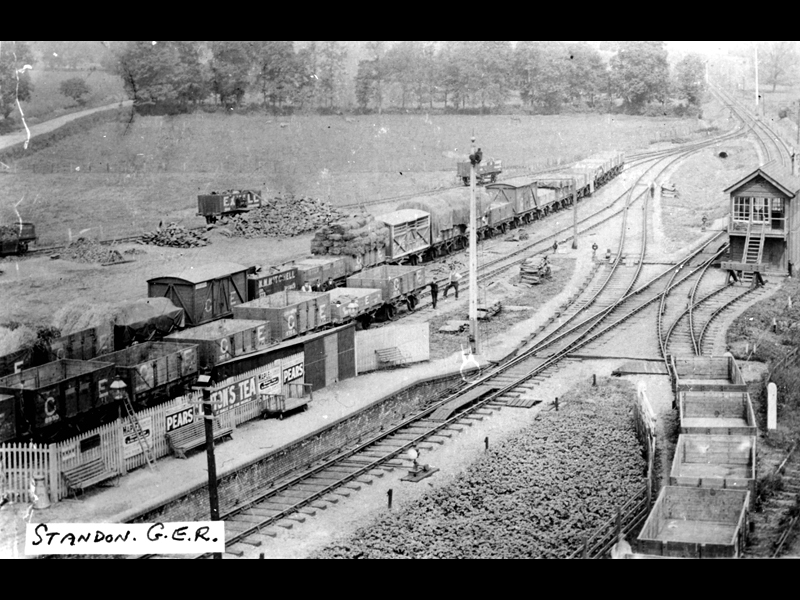 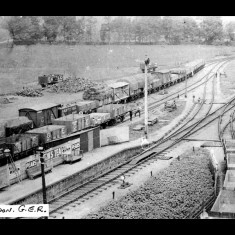 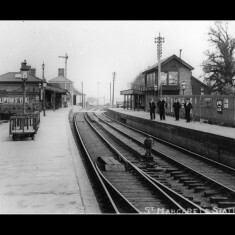 St Margarets Station around 1960. 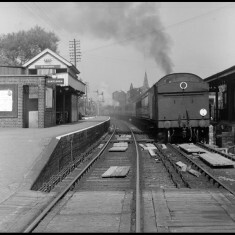 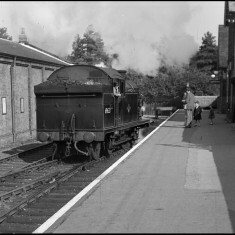 St Margarets with passenger train September 1958. 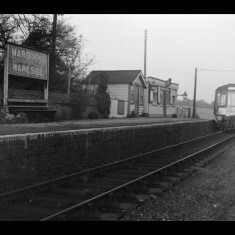 Diesel locomotive approaching Mardock; even such a tiny station was manned on the Buntingford Line. 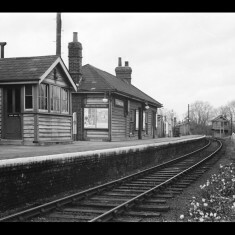 November 1963. 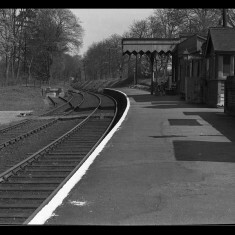 Widford Station in its last years; the passing loop and sidings are well-displayed. 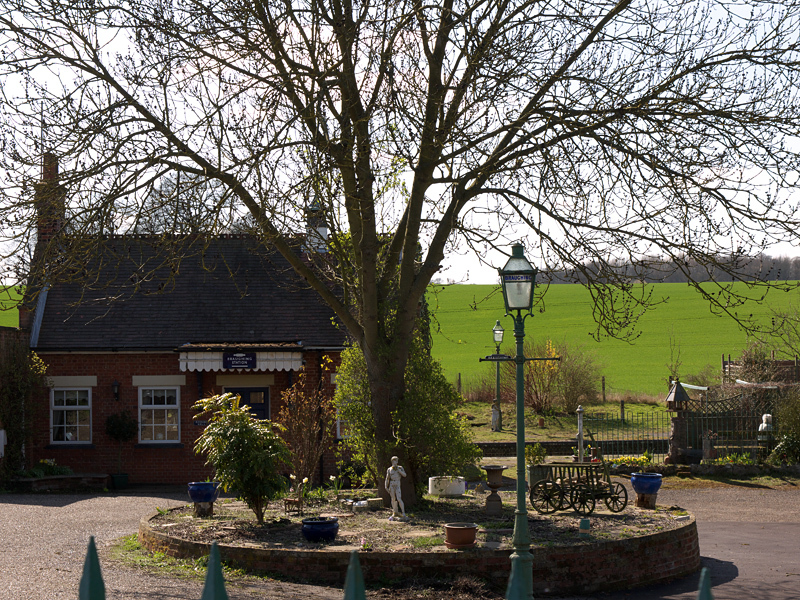 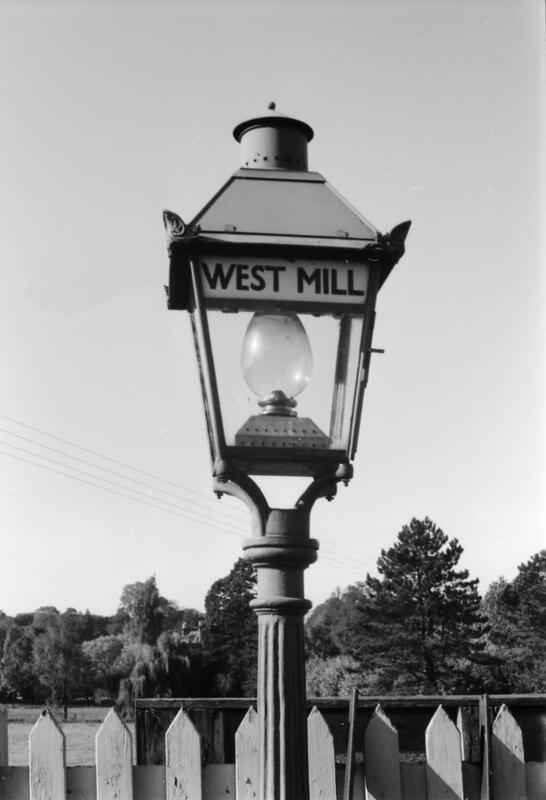 The unhurried pace of Widford Station, where oil lamps remained to the end. 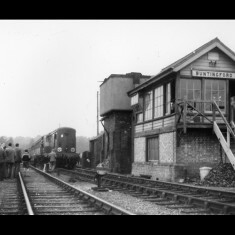 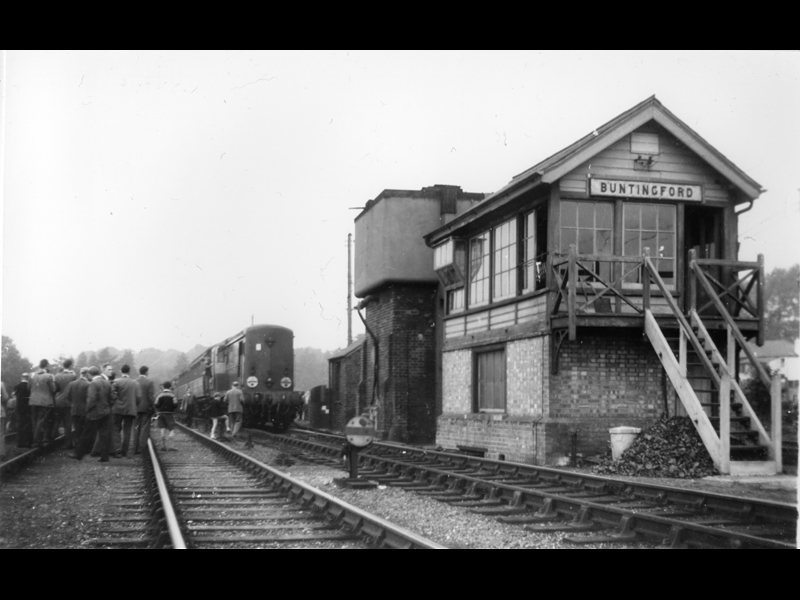 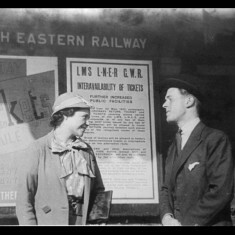 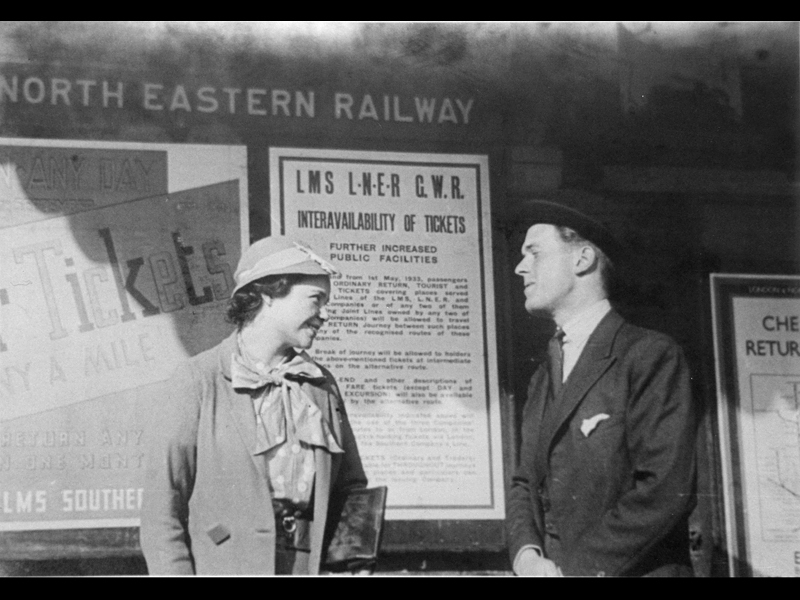 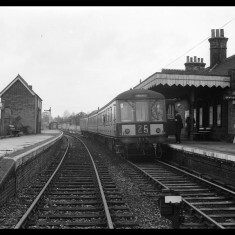 'Much Hadham Station', though officially 'Hadham' in the early twentieth century. 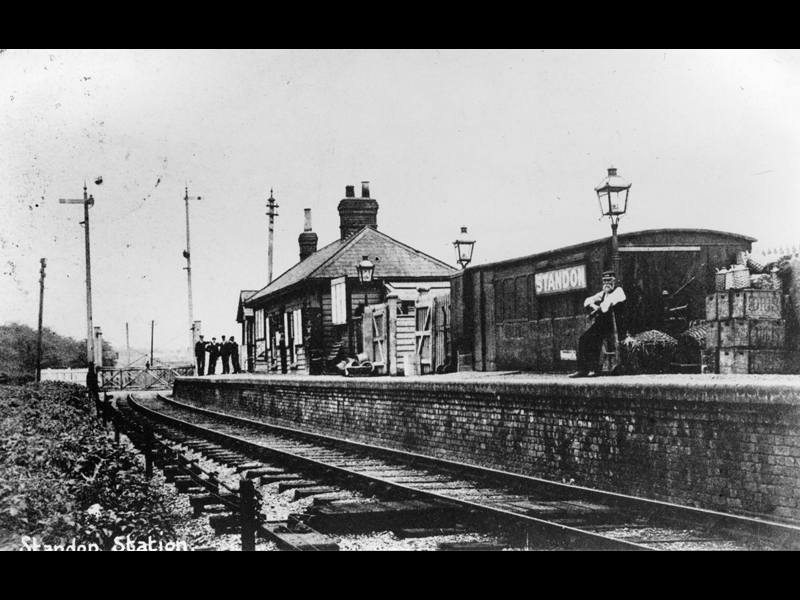 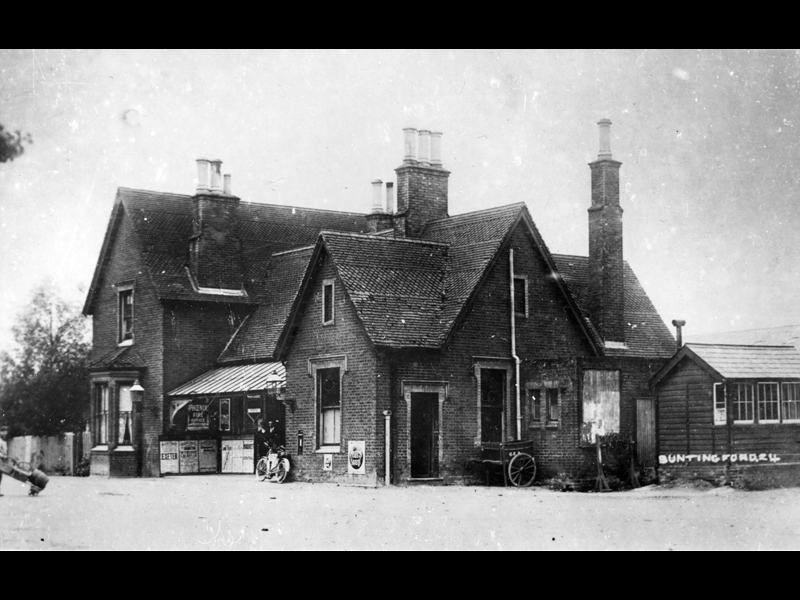 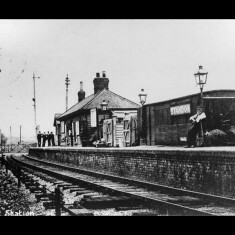 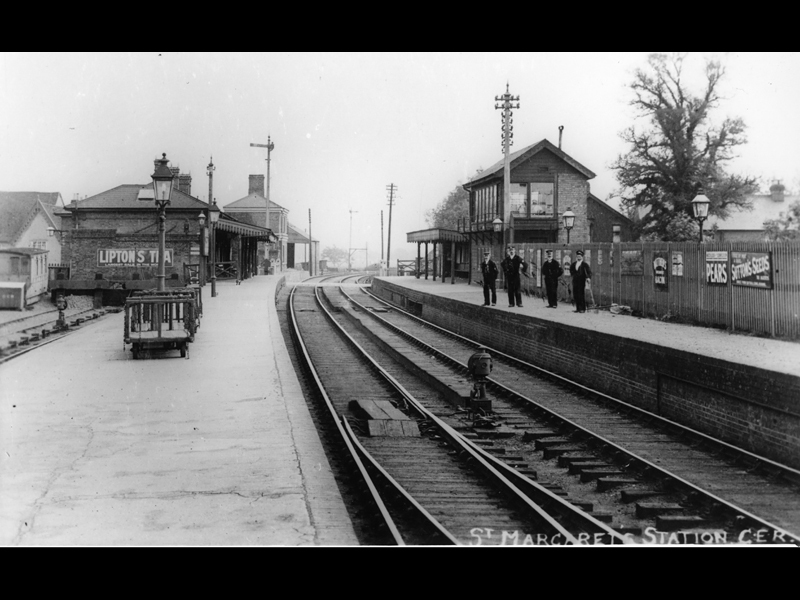 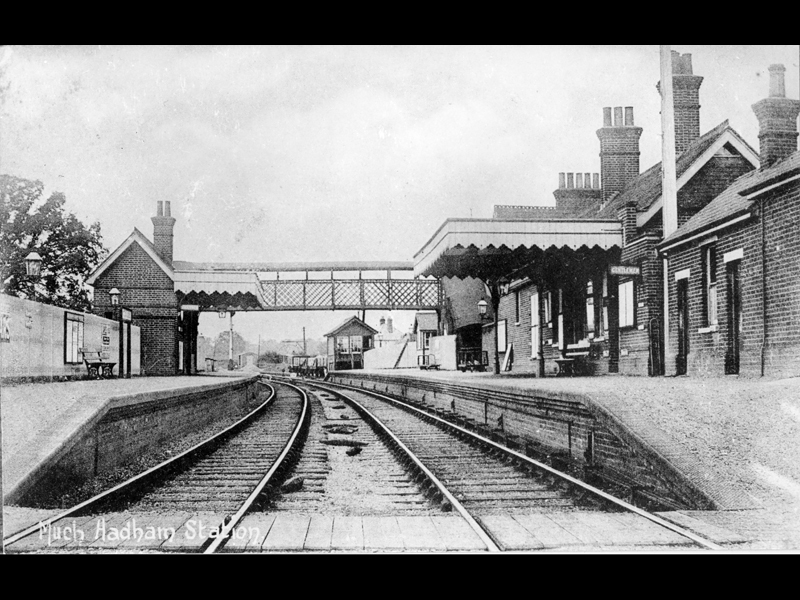 Hadham Station around 1913. 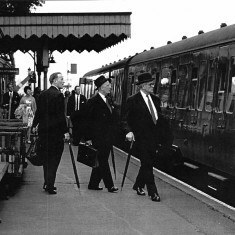 The station master (frock coat) and station staff stand on the platform, while the permanent way men stay on their track. 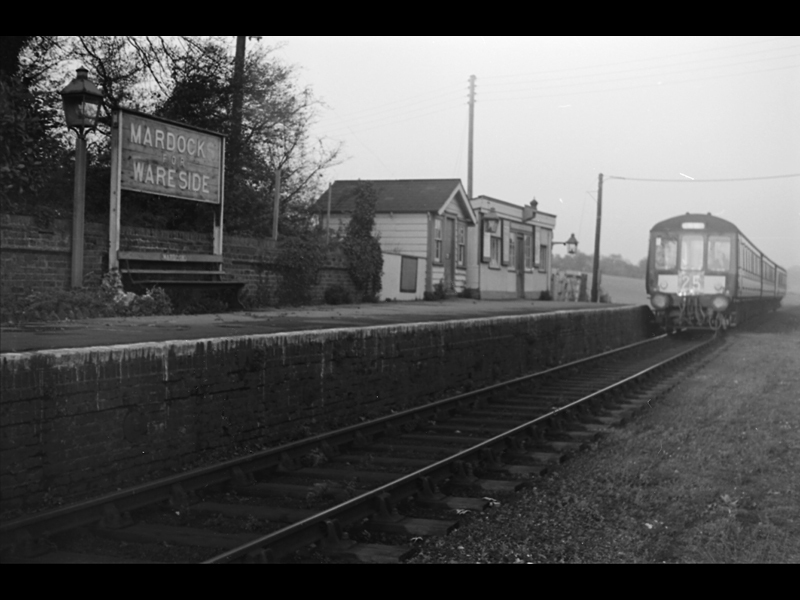 A Diesel Multiple Unit, St Margarets-bound, c1960. 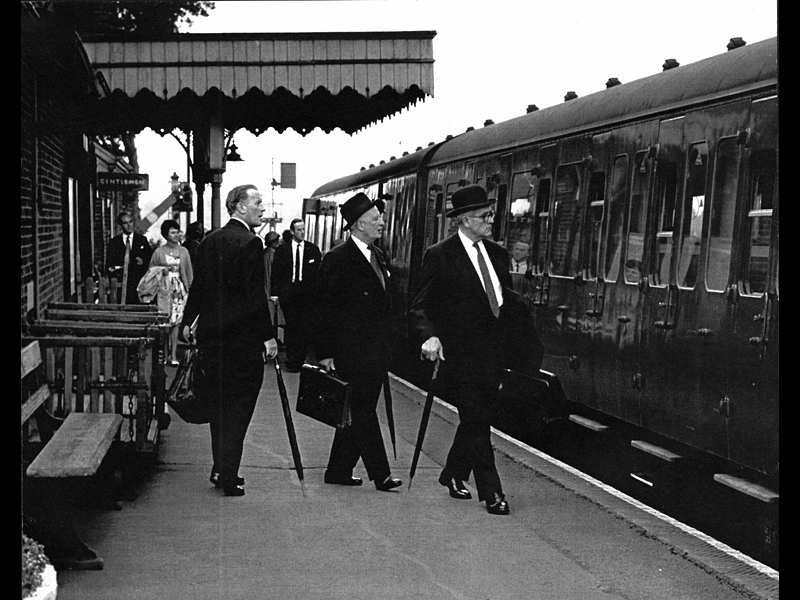 City commuters board their morning train at Hadham Station, led here by Mr Harry Sporborg of Hambro's Bank. 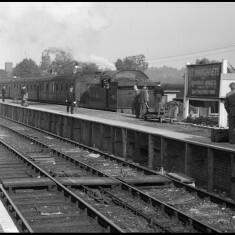 c1958. 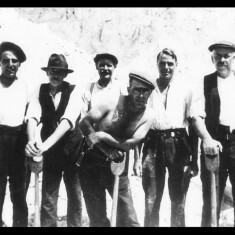 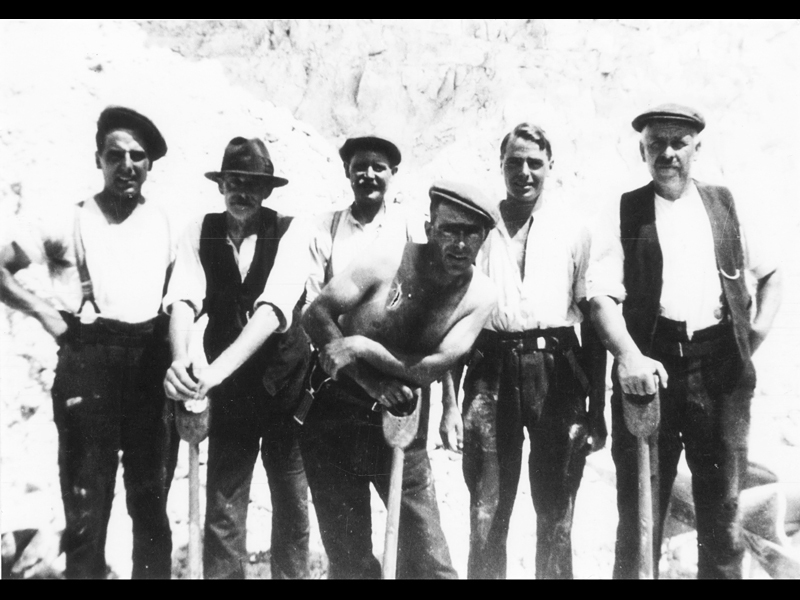 A permanent way gang on the Bunt, probably between the Wars. 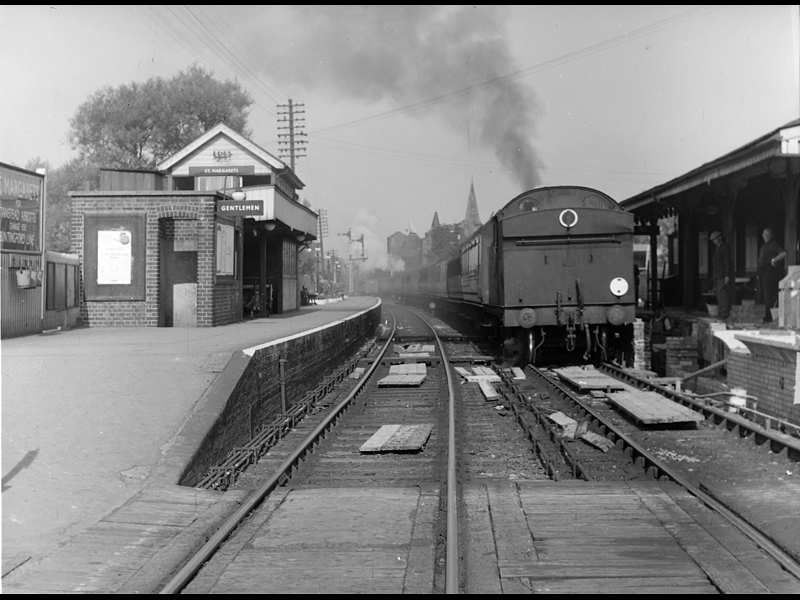 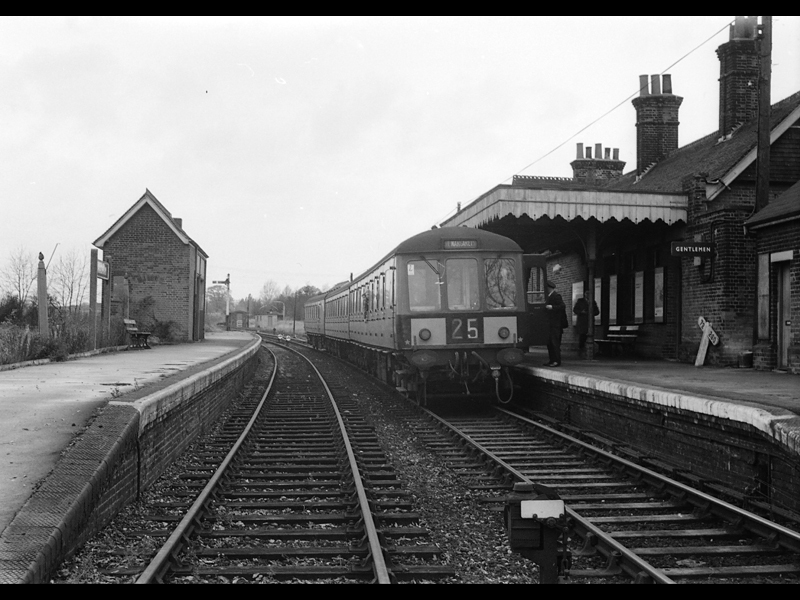 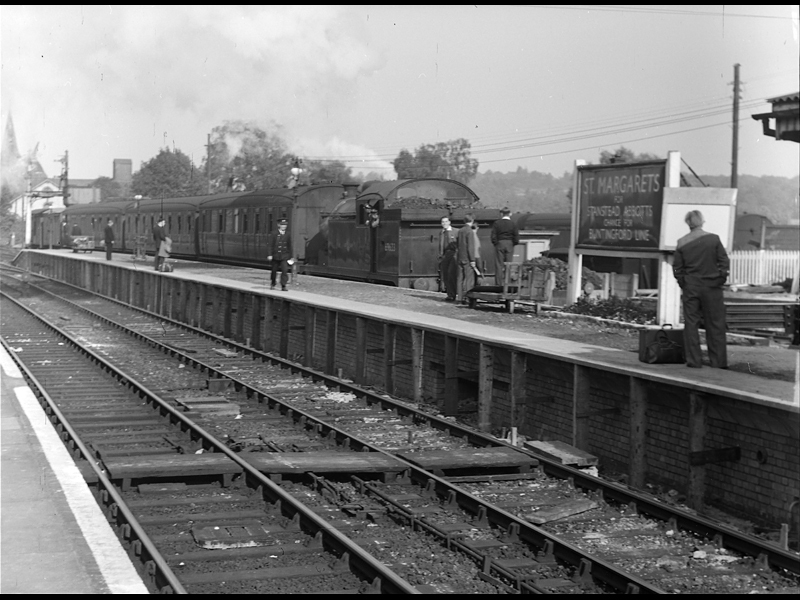 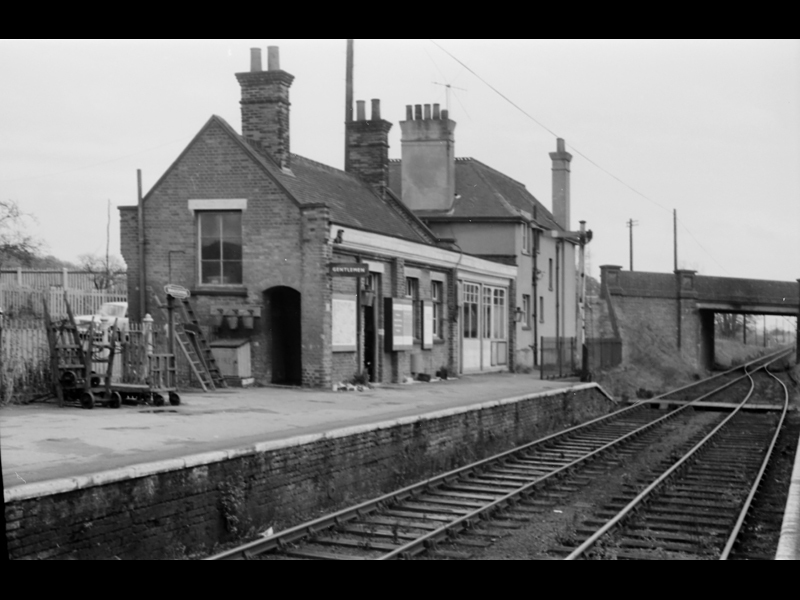 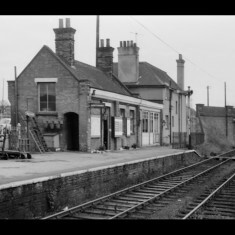 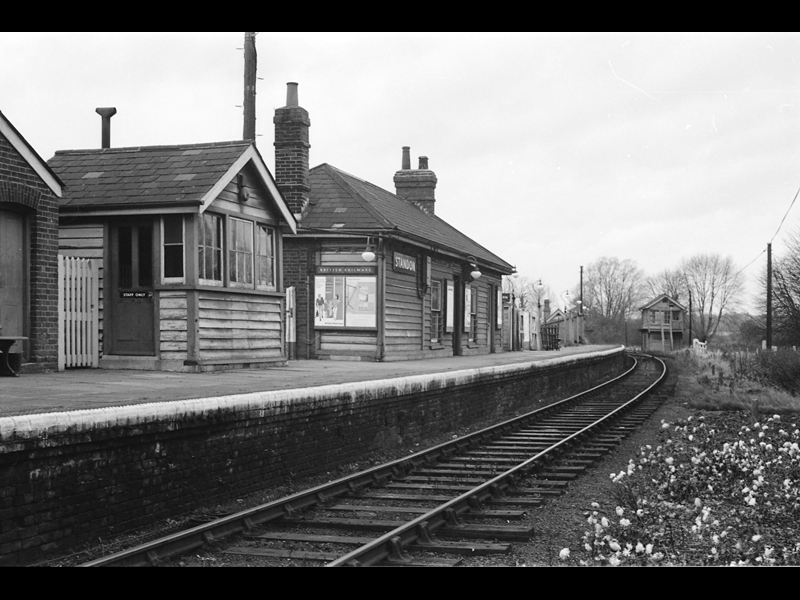 Standon Station, looking north, November 1964. 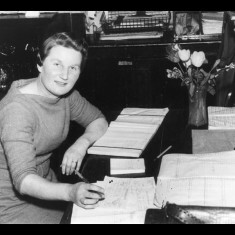 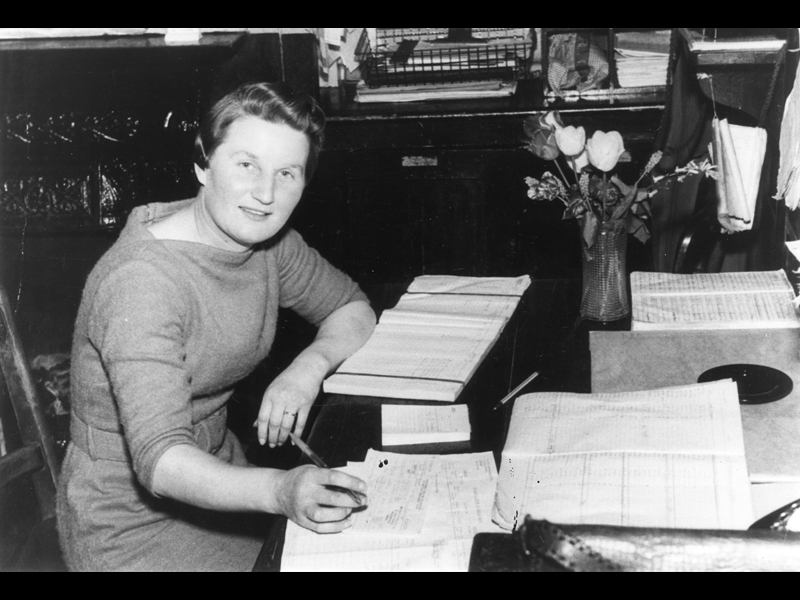 Mrs Betty Everett, booking clerk at Standon Station 1958-64. 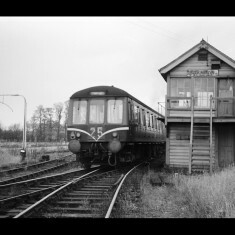 A Diesel Multiple Unit passes Standon signal box, St Margaret-bound, November 1964. 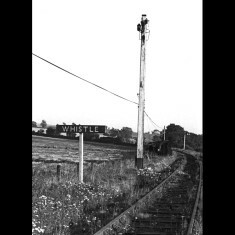 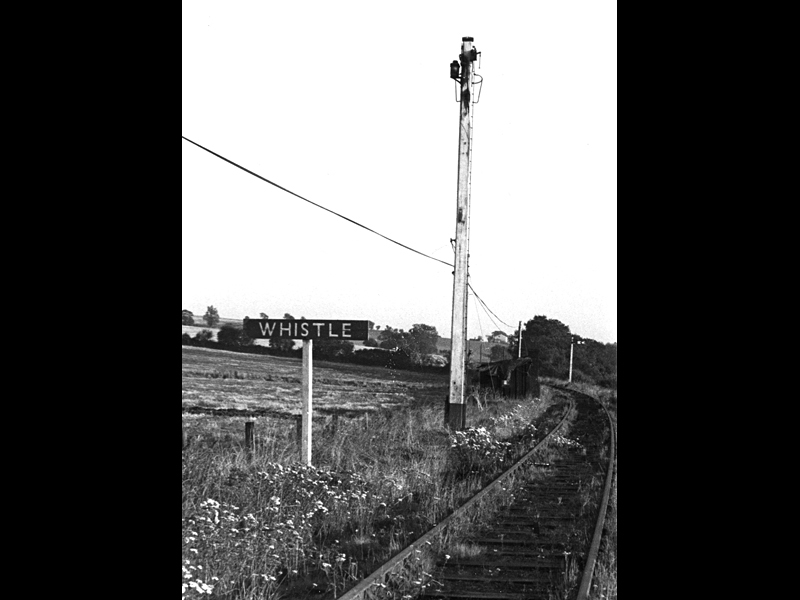 Whistle sign, possibly before the long gradient to Hadham Station. 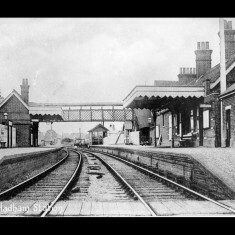 Braughing Station before the First World War. 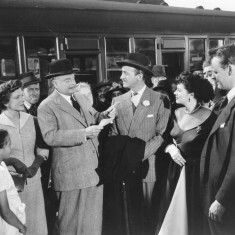 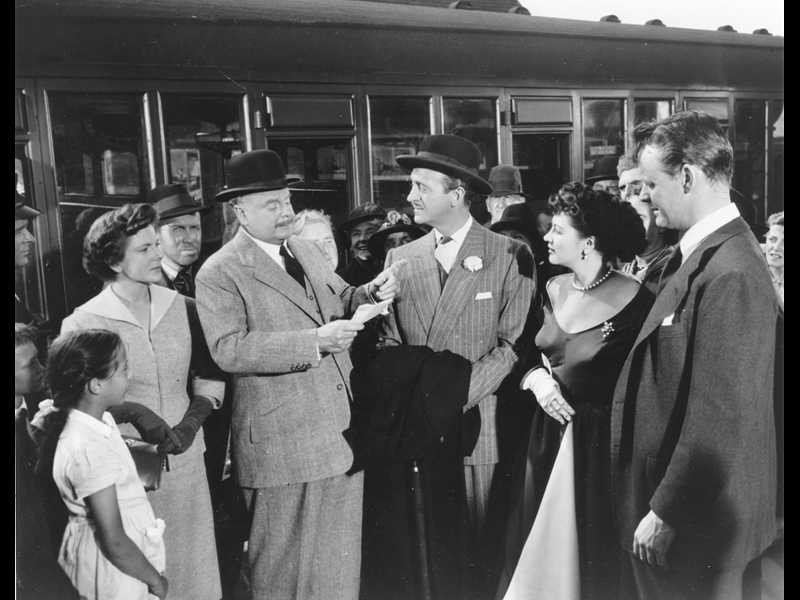 David Niven and Yvonne de Carlo filming Happy Ever After (1954) at Braughing Station. 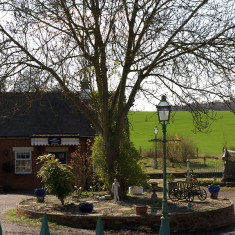 Braughing Station converted to a distinctive house and garden, 2010. 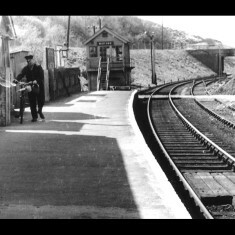 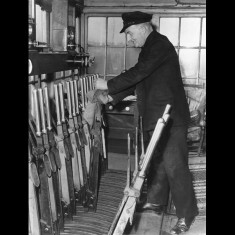 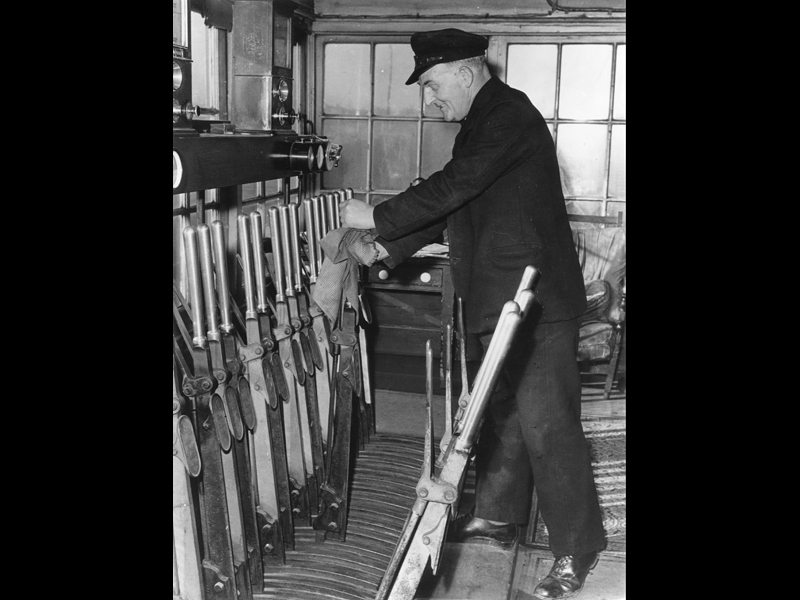 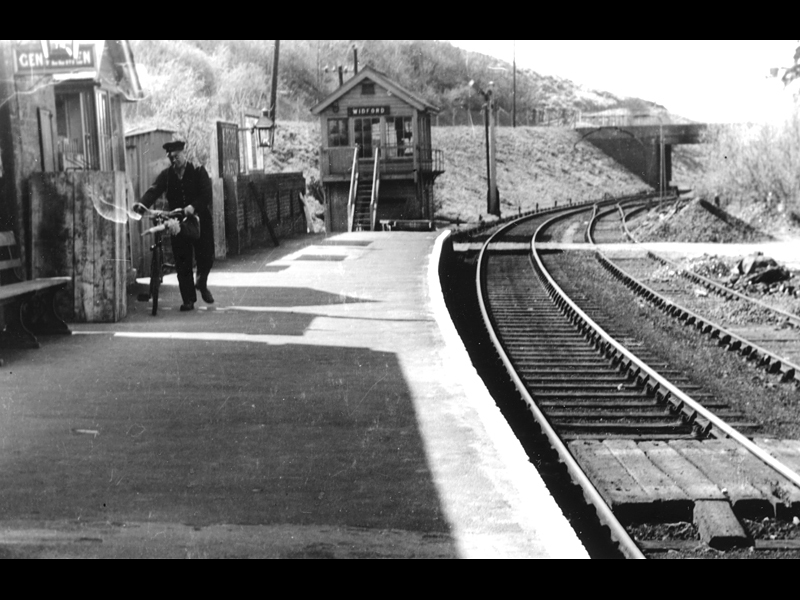 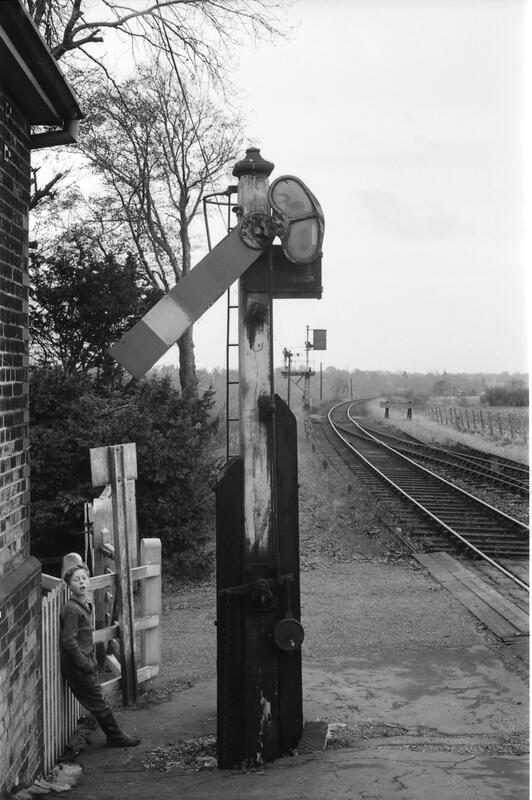 Signalman on the Buntingford line, possibly in the 1950s. 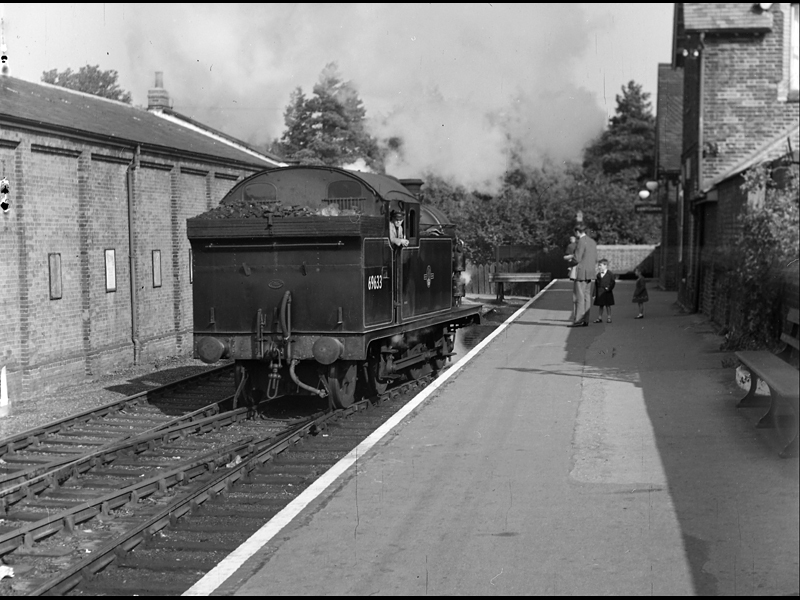 Special train with diesel locomotive in the sidings at Buntingford Station, October 1962. 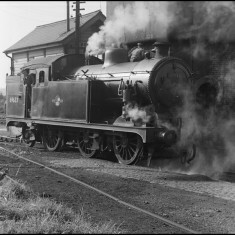 N7 tank locomotive reversing on to the siding at Buntingford Station, September 1958. 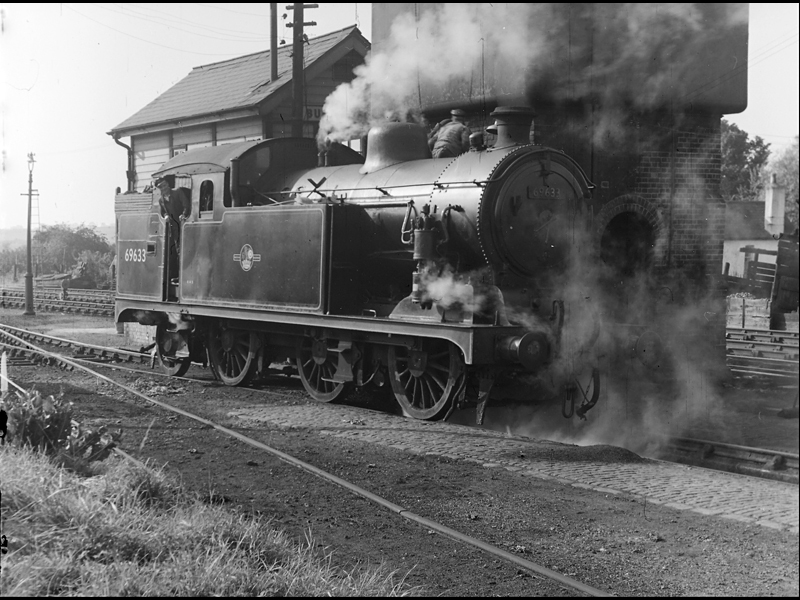 N7 tank locomotive taking on water from the tower behind the signal box at Buntingford Station, September 1958. 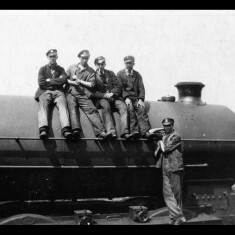 Engine crews posing for the camera at Buntingford, between the Wars. 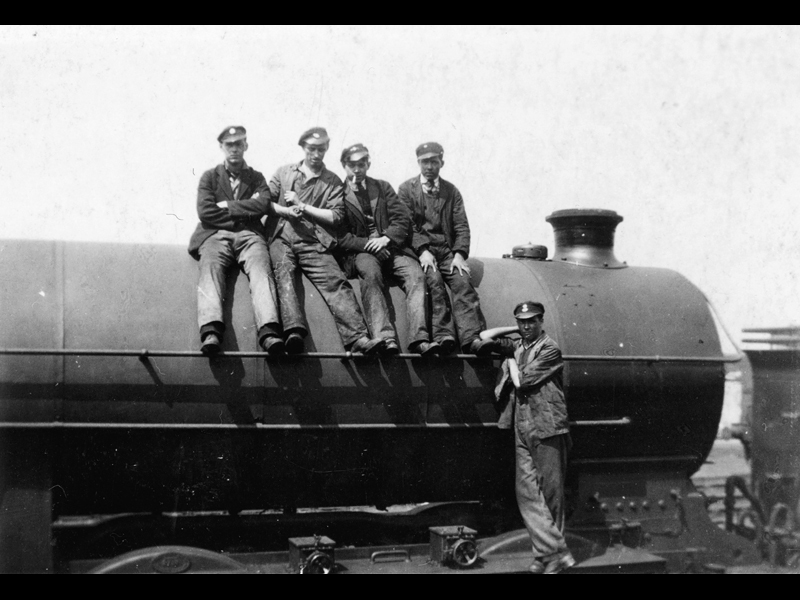 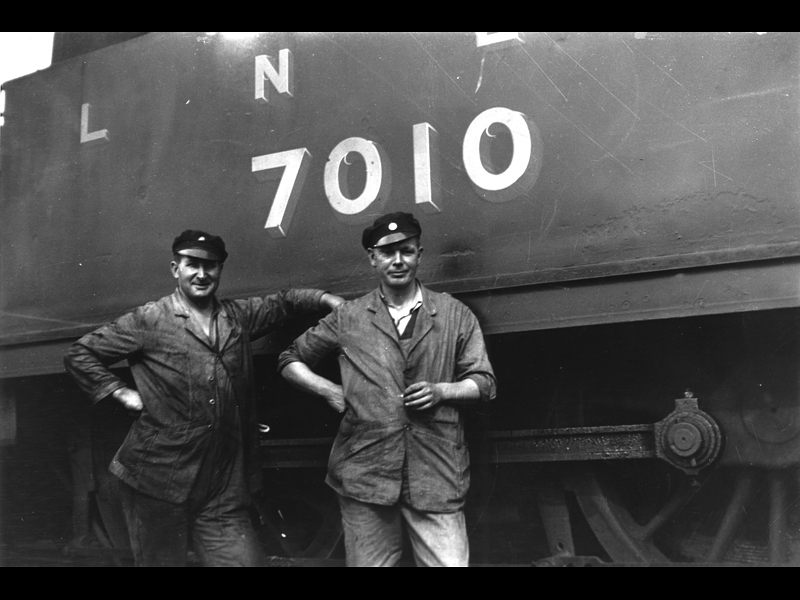 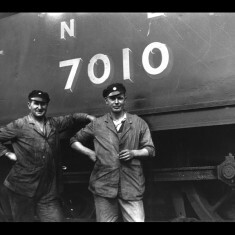 Locomotive crew at Buntingford, between the Wars. 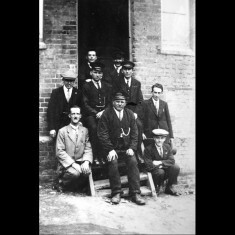 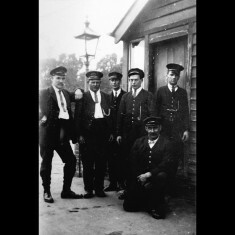 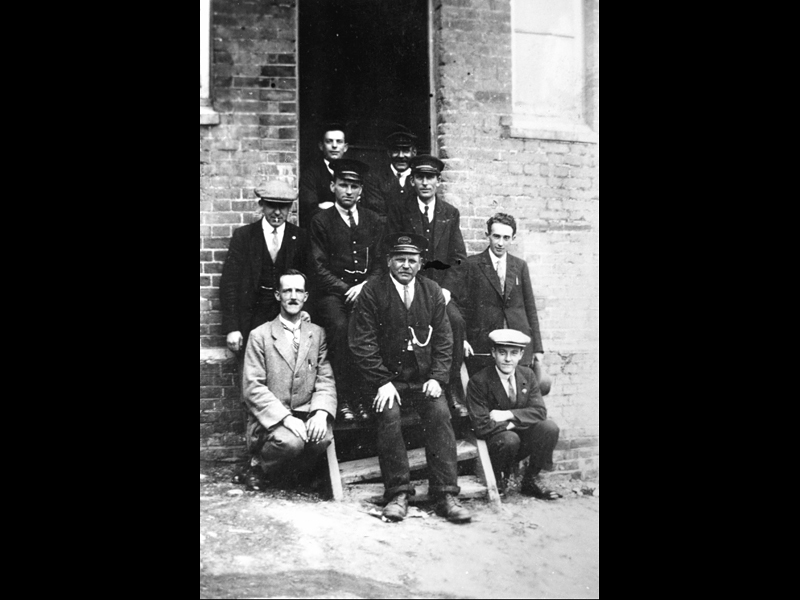 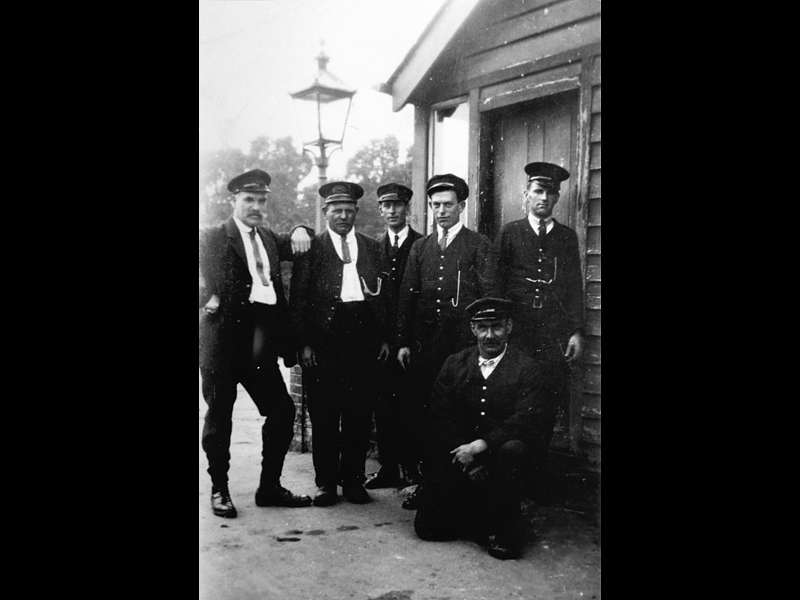 Station staff at Buntingford, early twentieth century. 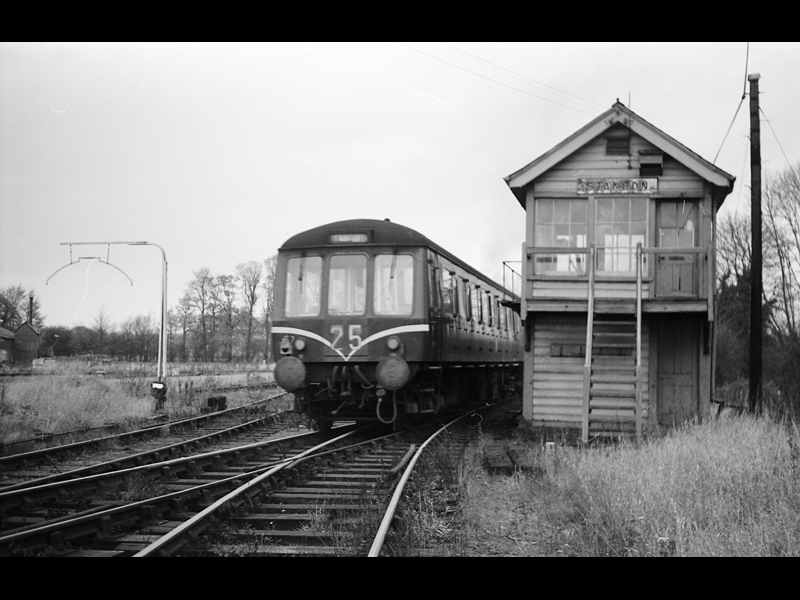 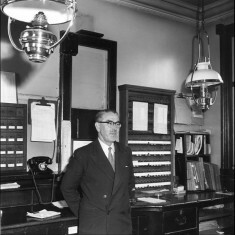 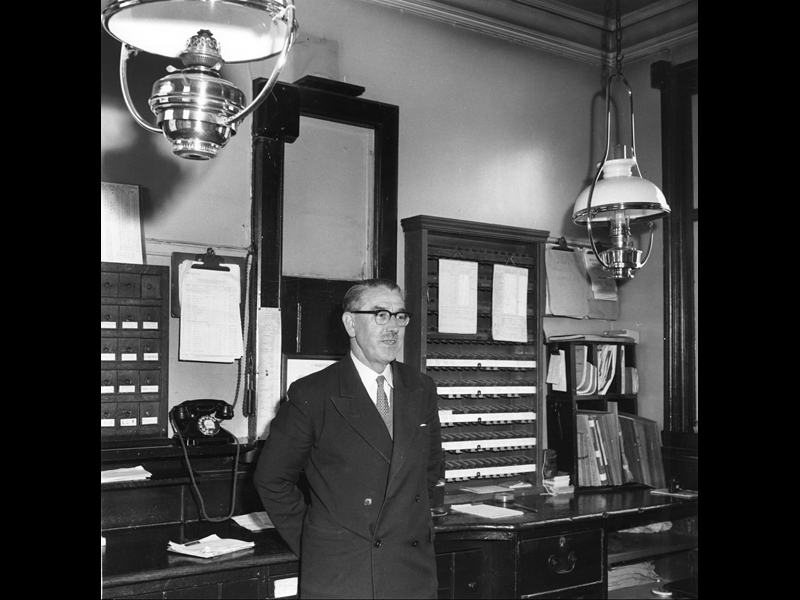 The office at Buntingford Station in 1962. 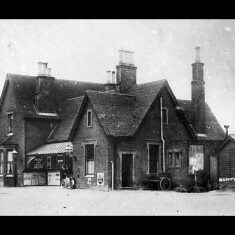 Spick and span but still using oil lamps. 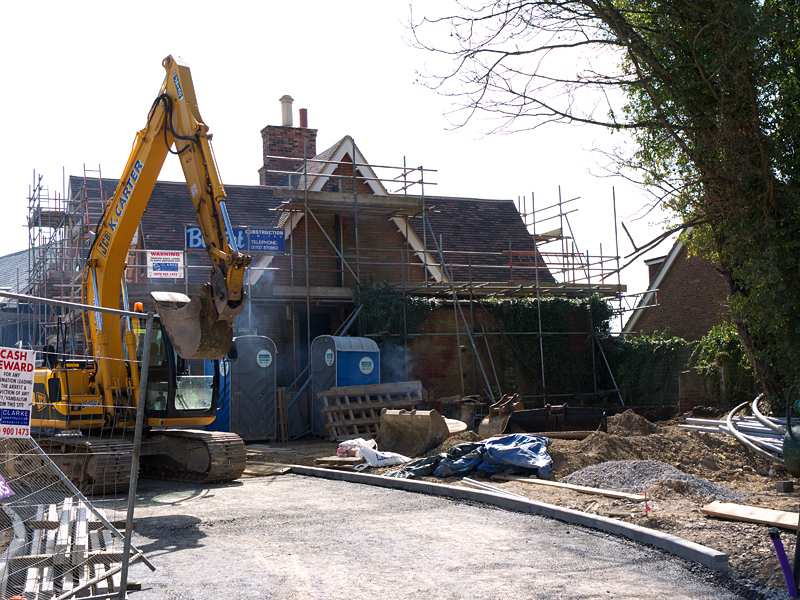 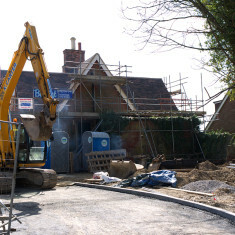 Buntingford Station building under renovation in 2010. 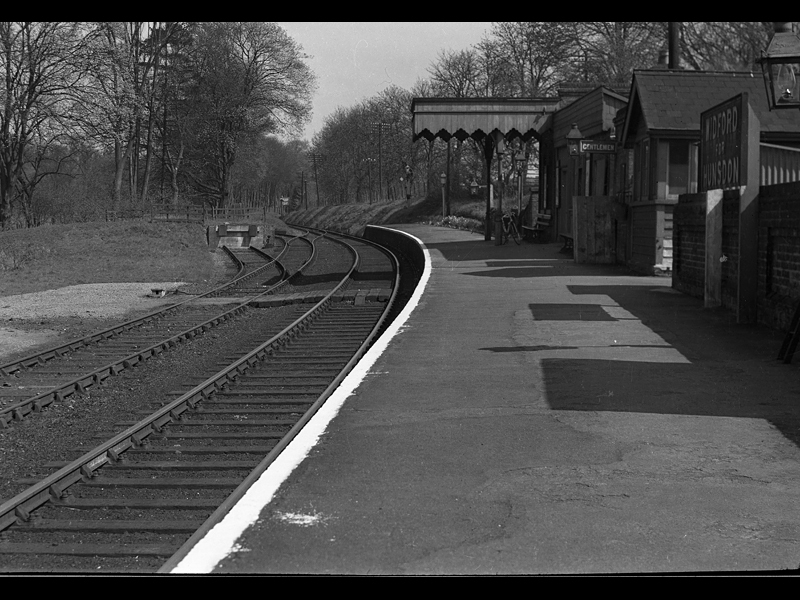 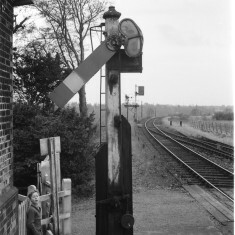 Signal at Hadham station, around 1960. 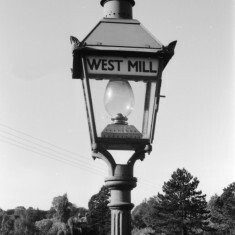 Close up of an oil lamp at West Mill.